Whether you are preparing for a big move, doing an extensive renovation, or simply taking care of some much-needed spring cleaning, renting a dumpster is a convenient way of managing junk removal at your home or office. A rental dumpster can sit conveniently out in your driveway, the perfect place to toss old toys, busted electronics, broken furniture, cardboard boxes, and other junk you don’t need anymore. If you need a dumpster in San Francisco, Junk King can help by providing top-notch service and competitive pricing. Our self-serve dumpster rentals are rated #1 in all North America, so you can rest easy knowing that you are in good hands. So, what should you expect when you rent a dumpster in San Francisco? We can’t speak for other companies, but when you rent from Junk King, you can expect an easy, painless customer experience from start to finish. Below, we’ve outlined some of the key steps and touchpoints of the dumpster rental process, as well as what you should expect at each stage. If you are ready to rent a dumpster, click here and scroll down until you see the contact form on the right-hand side of the page. You can always call Junk King, but booking online can save you $30. When you fill out the form, you will provide us with your name, address, zip code, phone number, and email address. You can also input the date you need the rental and the online form should give you some timeslots from which to choose. In some cases, you might be asked to call Junk King to talk about the details of your order. What about dumpster sizing, you may ask? One of the big considerations, when you rent with most dumpster companies, is how large a bin you need. Do you need a dumpster that is 20 cubic yards in capacity, or can you get by with on that is only 15? From our experience at Junk King, we’ve noticed that customers just don’t know how much space they need. As such, choosing a dumpster rental size is little more than taking shots in the dark. It adds a lot of stress to the process. Getting something too small is a hassle, while getting something too big means paying extra for no real reason. To avoid the stress and streamline the rental process, Junk King just has one dumpster size: The Junk King MINI. The MINI is a 12-cubic yard bin that is the perfect size to fit in most driveways. It tends to be the perfect size for most self-service junk removal tasks, capable of handling smaller refuse items and bigger ones (such as furniture and appliances) alike. Because of different dumpster sizes and other factors, most dumpster rental companies have complex pricing structures. Not so with Junk King. By narrowing our self-service dumpster rentals down to just the MINI, we have been free create a pricing structure that is both more nuanced and easier to understand. First, there are no hidden charges or fees with your dumpster rental. We don’t like companies that nickel and dime their customers with unfair extraneous charges, and we don’t want to be one of them. Secondly, we offer tiered pricing based on how long you need your dumpster rental. If you know you are going to knock out a spring cleaning project in a weekend, a three-day rental should be perfect. For longer projects, you can rent your dumpster for five or seven days. No matter which tier you choose, there is a clear expectation on both sides of when the dumpster is going to be picked up and how much the rental will cost. Third, and most crucially, you only pay for the dumpster space you use with Junk King. With most companies, you rent a dumpster and pay the full price, whether you fill it halfway or all the way. At Junk King, we have different pricing tiers based on how much space you actually use. These prices can vary depending on your location and how long you need the dumpster. The minimum tier—for dumpsters that are less than half full—can cost as low as $125 for your entire rental. The 1/2 MINI tier ranges from $198 to $350. And even if you fill your dumpster, you could pay as low as $275 (pricing was accurate at the time of publishing this post). If you end up filling your dumpster and still need more space, just let us know. Junk King will pick up the initial dumpster and drop off another MINI for you to fill. Whether you are on your second, fifth, or tenth MINI, you will still only pay for the space you use. When you rent a dumpster, it’s probably crucial that you get it on time. Otherwise, you will have nowhere to toss your trash, building debris, or other junk when the time comes to clean, move, or renovate. At Junk King, you schedule your drop-off and pick-up times beforehand. Our crews then guarantee that they will be on time for both appointments. We’ll even call you 15 minutes before your drop-off, to confirm the time and make sure you are there to accept the delivery. With this process, there is no confusion about where the dumpster is or when it is coming. You also don’t have to worry about a packed dumpster sitting in your driveway for several days, attracting flies or other pests. We’ll be there on time to retrieve the junk and haul it away forever. Your interactions with Junk King professionals will be minimal throughout the rental process. We provide quick, timely deliveries and pick-ups and then get out of your hair so you can go to work. However, you can always expect these interactions to be positive and pleasant. We believe very firmly in the power of good customer service and have gone to great lengths to provide it. Our employees are friendly, licensed, insured, uniformed professionals with the vehicles, training, and knowledge to handle your delivery or pick-up with aplomb. Rest assured knowing that our delivery representatives will be extremely careful to ensure we don’t place the MINI in such a way that damages your driveway or yard in any way. Need to rent a dumpster in San Francisco? 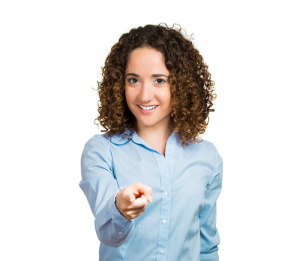 When you choose Junk Removal, we will do everything we can to meet your high expectations. To learn more about the service we provide and what we can do for you, give us a call at 1-888-888-JUNK. This entry was posted in Uncategorized and tagged junk king removal, Junk King San Francisco, professional junk removal services on December 26, 2017 by Julian Torres, "JT". Last updated June 24, 2018 . For most people, living in San Francisco means having a busy life and an active schedule. San Fran is a bustling metropolis with no shortage of activities in which to participate. However, residents also commonly have passion projects and personal responsibilities for which they need to make time. The larger these commitments are, the more time and energy they need for them, especially in cases where they are likely to produce unwanted junk or leftover materials. As a result, it’s vital that your waste management choices provide you with the flexibility to work around other events. For that reason, many people in San Francisco choose roll off dumpster rentals over other junk removal options. In San Francisco, roll off dumpster rentals are often the best solution for on-the-go urban professionals or those with active lifestyles and thriving social networks. The major advantage to renting a roll off dumpster is that you can choose to fill it up at your convenience, as opposed to moving your commitments around to suit the needs of others. There are certainly other ways to try disposing of your junk, but analyzing these methods normally reveals dumpster rental to be superior. At Junk King, we have seen people try all kinds of things to remove waste materials from their properties, and we have become adept at recognizing which strategies are successful and which ones are not. Below are a few of the reasons why we believe that for residents of San Francisco, roll off dumpster rentals provide the most elegant waste management solution. We have also outlined a few tips you should keep in mind if you ever decide to rent a roll off dumpster for yourself so that you can reap maximum benefits from the experience. How do San Francisco Roll Off Dumpster Rentals Compare to Other Waste Disposal Strategies? One of the clearest ways to see the advantages of roll off dumpster rentals is to compare them to other means of dealing with waste. Typically, there are several other strategies used by individuals who have waste management needs beyond those regular garbage pickups can accommodate. Two commonly attempted alternatives to dumpster rental are full-service junk removal via a cleanup crew and hauling waste material to a landfill in one’s own vehicle. 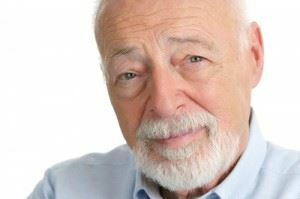 While each of these strategies may seem to offer certain advantages at first, they also come with challenges that may not immediately be apparent. Hiring a clean-up crew: calling a team of professionals to visit your home or workplace and remove unwanted waste materials often seems like a strategy that requires considerably less effort than others. After all, won’t they take care of everything? Well, the answer to that is both yes and no. Clean-up crews will certainly remove the items you tell them to take away, but if they don’t know what those items are it’s entirely possible for them to make mistakes. Simply put: they might not get everything the first time, which means you could end up having to call them out again and paying for their service twice unless they offer a guarantee. The best way to avoid this is by sticking around during their visit and supervising the entire process, which can take valuable time out of your schedule and practically defeats the purpose of calling professionals in the first place. DIY junk removal in a personal vehicle: some people think they will save copious amounts of money by taking their unwanted materials to the nearest dump in their own vehicles, but this option can be particularly risky. It is true that using your own vehicle means you won’t have to rent equipment or hire labor from another party, but that doesn’t necessarily mean ridding yourself of junk is going to be free. In fact, you may find yourself subjected to dumping fees when you arrive at your destination since most contemporary landfills now charge. Those fees might not be the full extent of the financial consequences you face for DIY dumping, either. There is always the chance that the materials you are transporting will damage the upholstery inside your vehicle if improperly stored or have sharp points and edges. Renting a dumpster helps you avoid the pitfalls of either method listed above. Unlike hiring a clean-up crew, dumpster rental provides you with the ability to work around other events in your own schedule, since you’ll be free to fill it with material as you wish during the length of the rental period. Since an experienced team of professionals will also pick the dumpster up at the end of your rental and dispose of the contents, you will also be free from having to risk your own vehicle or pay dumping fees to use a landfill. 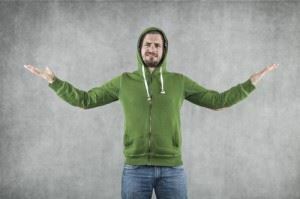 For these reasons, roll off dumpster rental makes sense for more San Franciscans than most other methods of waste removal. Renting a roll off dumpster in San Francisco or the surrounding area can help many people handle substantial amounts of waste or junk, from homeowners attempting to spruce up houses and repurpose rooms to contractors and handypersons who have professional responsibilities. However, there are specific factors to consider if you want to rent a roll off dumpster successfully. Specifically, you will want to consider the size of your container, its placement on your property, the fee structure of the company from which you rent it, and the laws pertaining to dumpster waste in your area. The size of your container is particularly important since it can affect the price you end up paying to rent it and either help or hinder your clean-up experience. Inexperienced renters often look for the largest dumpsters they can find, but a better strategy is to try matching the amount of waste you need to deal with to the size of the dumpster you rent. Large dumpsters can take up considerable space on your property—and if you were thinking of placing your dumpster on the street outside your house, think again. Unfortunately, laws prevent dumpsters from occupying public rights of way, which include public spaces such as roads, paths, and sidewalks. Generally speaking, the best place for a dumpster is on your driveway, which means smaller containers will almost always be more practical. After all, a smaller container will probably still allow you to drive to the garage and park your car. At Junk King, we’ve tried to take a unique approach to dumpster rental by offering conveniently sized containers of 12 cubic yards in volume. These containers will still hold an amount equal to that of several pickup trucks, but will not obstruct access to most driveways. Standard rental periods are for three days, which gives renters plenty of time to pack their container without putting off or rescheduling other commitments. Finally, we charge only for the amount of space that each client uses in their container, which rewards efficient customers and incentivizes them to pack responsibly. We also uphold a firm commitment to sustainability and work hard to sort each item in our care in the eco-friendliest way available. San Francisco roll off dumpster rentals can be much more effective at allowing you to remove waste than other methods, but you’ll have to choose the company you rent from with care. For more information on renting dumpsters in your area, contact via email or call Junk King and ask one of our professionals to help you learn more about how to find containers for your needs. This entry was posted in Uncategorized and tagged junk king removal, Junk King San Francisco, professional junk removal services on December 19, 2017 by Julian Torres, "JT". Last updated June 24, 2018 . Is a Smaller roll off dumpster Better For San Francisco? If you live in the San Francisco area, you probably enjoy a busy and dynamic lifestyle. However, you may also find yourself with various projects to do around the home. San Francisco homeowners commonly renovate their homes, update their décor, and convert spaces for new purposes. The number of projects you can undertake to revitalize your property is astounding—but so is the amount of waste material that those projects can produce. If you are about to start a personal project that will create significant amounts of leftover junk, you’ll need a way to dispose of it responsibly. Roll off dumpster rental is one potential solution, but many people have questions when it comes to choosing a dumpster and need more information before they settle on one. Some of the questions that we face most often at Junk King are regarding dumpster size. People aren’t sure what size container they will need to accommodate the waste removal needs of their project. This situation is especially true in areas like San Francisco, where deceptively compact-looking homes can still contain multitudes of personal possessions. The unique nature of the city and its properties can certainly complicate matters, so we’ve put together a guide that we hope will help you choose an adequately-sized container next time you want to rent a skip. Keep reading to see what we recommend for San Francisco dumpster hunters, so that you can choose a container suited to the requirements of your next project. The first question that anyone should ask when they have waste to dispose of is: what method will be most effective? It’s important to note that dumpster rental is not the only way to rid yourself of materials you no longer need. In addition to rental companies, there are plenty of organizations that can send a team to your location for full-service waste removal. You may also be able to remove junk from your property by bagging it up yourself and taking it to the nearest landfill in the back of your vehicle. However, a more detailed analysis of the pros and cons of each method normally shows that rental is more convenient and cost-effective. Consider the logistics of hiring a company to come and clear away junk from your property. You’ll have to make sure that you’re around to let them in, and since many companies only operate during regular business hours that could mean missing a day of work. On the other hand, taking junk to the landfill by yourself is certainly more flexible—but it can also require a lot of physical labor on your part. You might also find that you must pay public dumping fees, and that’s to say nothing of the interior repairs your vehicle might need if you aren’t careful loading everything into the bed, trunk, or backseat. There’s also the matter of paying for the gas that multiple trips to and from the landfill could cost you. Renting a dumpster is almost certainly going to take less of your time and money than these options. Of course, that’s not to say that dumpster rental in San Francisco is a magic solution to your waste disposal needs. It can certainly be easier than other methods, but for best results, it helps to consider certain factors ahead of time. It’s also important to remember that San Francisco is not like other cities. A high-density urban area with narrower streets and buildings than many other US municipalities, it poses several specific challenges for those who rent waste skips there. San Francisco is like most cities in that you are not legally allowed to obstruct a public right of way without first obtaining a permit from the Public Works office. In San Francisco, Public Works issues permits related to numerous private or public projects, including excavations, borings, and sidewalk repairs. They also have special permits for dumpsters and debris boxes, which must be applied for if those items are going to occupy streets, sidewalks, paths, or other public access zones. The bond for a debris box permit is $5,000, so this can be an inconvenience for some renters. You may be in luck if your home happens to have a driveway. Driveways on your property are not considered public right of way areas, and you can place a dumpster on your driveway without applying for a permit beforehand. However, since many San Francisco residents live in compact homes or apartment complexes, you will have to make sure the container you rent can fit on your driveway (or elsewhere on your property) without causing a major inconvenience to you and the other occupants. One of the most vital ways in which small dumpsters assist renters is by being versatile. While it is true that they have less storage capacity than larger containers, they are rarely too small for domestic projects such as renovations or spring cleanups. In fact, even a dumpster with a volume of 12 cubic yards holds more than three pickup trucks’ worth of material, which means you don’t always need to rent the biggest container you can find. In fact, you almost never do. Better yet is the fact that small dumpsters take up much less physical space. A small debris box will often fit in a driveway without preventing access to the street and the garage, even in cities like San Francisco—where driveways tend to be tighter than in most other cities. As such, renting a small dumpster may allow you to complete your project without needing to apply for a permit, or even find another place to park your car during the process. Choosing a specific company in the San Francisco area from which to rent your dumpster should depend on the following criteria: what sizes do they offer, how long will you have the container for, and how much will it cost? After all, a company that offers excellent rates but inconveniently sized units or problematic scheduling will hardly provide you with much in the way of value. At Junk King, we offer mini dumpster rentals for homeowners and professionals who need flexibility from their rental companies and are concerned about green disposal tactics. Our containers have a volume of 12 cubic feet, which gives them plenty of storage space but prevents them from being overly large or bulky. As such, it is easy to store them on your property for the duration of your rental period, which makes it easier to avoid permit applications and other inconveniences if you want to streamline the process. With standard rental periods of three days, we also give you plenty of time to fill your unit, so that you can create your own schedule and work around your office hours or other commitments. Whether you rent a roll off dumpster for your San Francisco junk removal needs will ultimately be up to you. We don’t know exactly what’s best for your specific project, but we hope this information helps you make an informed choice so that you can clean up with as little fuss as possible. If you’re curious to learn more about easy junk removal, give us a call anytime during business hours. One of our pros will be happy to explain more about packing dumpsters, sorting their contents responsibly, or anything else that piques your curiosity. This entry was posted in Uncategorized and tagged junk king removal, Junk King San Francisco, professional junk removal services on November 21, 2017 by Julian Torres, "JT". Last updated November 22, 2017 . Are you thinking about a San Francisco dumpster rental? If you have substantial waste removal needs—or if you have an event or project coming up that will produce a significant amount of waste—then renting a dumpster may save you a lot of trips back and forth from your nearest trash or recycling facility. Bottom line, if you have more trash or recycling than you can fit in your weekly collection bins, then you can probably benefit from a dumpster rental. Home renovations are notoriously messy projects. While it’s fun to knock down walls with a sledgehammer, or to tear out that laminate flooring in the kitchen that you’ve always hated, those tasks are also going to leave you with a lot of refuse and nowhere to put it. Positioning a dumpster rental right out front in your driveway makes the project easier. In some cases, you or your contracting team will even be able to toss debris right out the windows and into the bin. Even if you have to carry bundles of old carpet or piles of removed flooring out to the bin, though, it’s still faster (and cleaner) than piling everything in your car and driving it to the trash or recycling plant. When your bin is full (which will likely happen multiple times throughout your project), you can just call your dumpster rental company, and they’ll come pick it up, replace your bin with a new one, and carry your waste away. This process is easy and convenient and allows you and your team to focus on the renovation at hand rather than worrying about the logistics of waste disposal. Perhaps your family is moving to a new house, or maybe your business is moving from one store or office location to a bigger one across town. No matter the nature of the move, a dumpster rental is always a useful thing to have. As humans, we tend to accumulate a lot of clutter over the years. Our homes fill up with boxes, papers, old toys, worn clothing, obsolete electronics, and other junk we don’t need. The same thing happens at offices or businesses—although not always with the same kind of junk. You probably don’t want to move this stuff to your new address, but sorting through it and figuring out how and where to get rid of it can be a hassle. A rental dumpster expedites the process. When you find something in your closet, desk, or company storeroom that you don’t want, just drop it in the container. If you are worried about recyclables, that’s why you choose Junk King for your San Francisco dumpster rental. We sort through every bin and pull out items that can be repurposed, reused, or recycled—from textiles to electronics and appliances. With us, you get a sustainable waste disposal solution without having to sort painstakingly through everything you don’t want. If you stay on top of your spring cleaning every year, you might be able to make do with your standard weekly pick-up trash and recycling bins. Let a few years go by, though, and you will be amazed at the density with which clutter accumulates. A dumpster rental makes it easy to take everything you don’t want and purge it from your home. If you are someone who struggles to get motivated for spring cleaning, the ease of having a dumpster on your premises where you can ditch all your unwanted items might just get you moving. Building projects always produce their fair share of waste and debris. Whether you are undertaking a DIY shed building project in your backyard or spearheading a property development operation with your construction business, chances are you are going to need a dumpster rental or two. Having a place where you or your team can toss scraps of wood or carpet, packaging from building materials, screws, nails, roof tiles, and other construction debris will keep your worksite clean and save you lots of time. Even if you have a small quantity of building refuse from a DIY project, there is a good chance that your usual garbage crew is not going to accept it. When you rent a dumpster, there are a lot fewer restrictions for what you can and cannot throw away—especially regarding item size. Since Junk King sorts through and pulls out most everything that is recyclable, we will make sure most of your building waste doesn’t just end up in a landfill somewhere. For a lot of people, the garage or basement is like a black hole. These are places where you store things “temporarily” because you don’t want them taking up space somewhere else. Usually, “temporarily” is just a buzzword, something we tell our families when we don’t want to deal with something or can’t bring ourselves to get rid of it just yet. Unfortunately, the amount of junk in your garage or basement has probably just been compounding over time. Your garage could be a messy pile of old bicycles, busted yard tools, golf clubs and baseball bats you haven’t touched in a decade, and other junk you don’t need. The basement, meanwhile, is a haven for ratty old furniture, worn out sheets, broken musical instruments, and electronics that haven’t been functional since the last millennium. Eventually, everyone seems to decide that it’s time for a blank slate. If you’ve reached that point with your garage or basement, then a rental dumpster can be a lifesaver. A lot of the stuff that ends up in garages or basements is large, unwieldy, and difficult to carry or transport. With a rental dumpster, you only need to move everything as far as your driveway. The company that rented the container will take it from there. If you are looking for a dumpster rental in the San Francisco area, look no further than Junk King. We are quick, responsive, friendly, and reasonably priced. We can get you a good-sized dumpster to fill up with whatever type of junk you have. When it’s full, we will be there to carry away your stuff so that you never have to see it again. Over the years, we have provided this service for homeowners, businesses, property managers, and construction companies—to name but a few. No matter what kind of project you are undertaking, we bet our waste disposal solutions will make things easier. Since we are vigilant about recycling, we are also a favorite dumpster rental provider for people and businesses concerned with sustainability. From your garage or basement to your construction project, a lot of what you are throwing away could probably go to a recycling plant instead. We save you the time of sorting through everything by doing it for you, making sure your recyclables get recycled without forcing you to divide all your waste into multiple piles or categories. If you are looking for a San Francisco dumpster rental, get in touch with us at Junk King. We’d be happy to tell you more about our services and what sets us apart from the competition. Reach us today by filling out our contact form. This entry was posted in Uncategorized and tagged junk king removal, Junk King San Francisco, professional junk removal services on October 19, 2017 by Julian Torres, "JT". Last updated January 21, 2018 . Often, when businesses or homeowners arrange for dumpster rental in San Francisco, they are somewhat pressed for time. They have a lot of junk to get rid of and only a short period in which to get rid of it. For instance, a business preparing to move to a new office location might rent a bin so that it can quickly dispose of desk clutter, unwanted furniture, old computer equipment, excess paper waste, cardboard shipping boxes, and more. Dumpster rentals are also common in home renovations when construction teams need to rip out drywall, flooring, carpeting, and other building materials to make way for the new. Unfortunately, this time-sensitive approach to waste disposal does not promote good sustainable activity. Because of convenience, everything goes into the dumpster. No one spares much thought for recycling, even if a lot of what is being thrown away—from paper products to plastic refuse to metal building materials—is technically recyclable. What Happens to Most Dumpster Refuse? Most companies, as you might expect, are also not very concerned with recycling. They rent dumpsters as a quick, spacious, and convenient way for customers to clear out their junk. When a bin gets full, the waste removal company comes and picks it up, usually transporting the waste to the nearest landfill. Just like that, a vast amount of recyclable material ends up wasted and taking up space in landfills, instead of being repurposed for a different application. It’s tough to fault dumpster rental providers for how they do business. While some businesses do offer recycling bins and trash bins, most companies looking for a dumpster rental just want one large bin where they can dispose of everything. It’s simpler, easier for everyone to remember, and costs less—and while rental companies could potentially sort through their collections and pull out recyclables, doing so is a time-consuming process. To maximize profits and get the most out of their staff, companies just take everything to the landfill. At Junk King, we pride ourselves on being “America’s Greenest Junk Removal Service.” When it comes to dumpster rentals, we wanted businesses to have a third option, between “Throw everything in the trash” and “Pay twice as much for a trash dumpster and a recycling dumpster.” We realized that if there was ever going to be a competitive green waste disposal rental option, it had to be just as easy and affordable for customers as the non-green options were. The burden of staying green, in other words, had to fall on our shoulders instead of on our customers. The service we offer today is the realization of that vision. Instead of taking everything to the landfill after picking up your full container, we take each dumpster to our recycling warehouse. There, we carefully sort through the trash, looking for recyclable materials that don’t belong in landfills. Metals, paper, furniture, appliances, clothing and textiles, computers and other e-waste, and more: these types of items or materials still have value and use. Some can be sent to recycling plants, while others can be cleaned up and donated to organizations that need them. By pulling these valuable goods out of the dumpsters and saving them from the landfill, Junk King does its part in protecting the environment. Junk King doesn’t even use machines to automate the sorting process. Recyclable and reusable goods come in all different materials, shapes, and sizes. No machine on the planet can adequately identify what is and isn’t junk. Instead, Junk King personnel are responsible for sifting through dumpsters and saving treasures from oblivion. This human touch ensures the best sorting possible and guarantees that we send only actual “junk” to the junkyard. The United States is famous for its wastefulness. While people in the United States account for just 5% of the world’s total population, we also generate approximately one-third of the world’s total garbage. That statistic is bewildering enough as is, but some of the stats that hide within it are even more alarming. Consider this: roughly half of the “garbage” that Americans throw away daily could be recycled, reused, or repurposed. Glass and plastic bottles; lengths of aluminum foil; cardboard boxes and other packaging; paper from work projects, school assignments, newspapers, magazines, and more. These materials frequently end up in the trash but would be far better used by going to recycling plants. The waste adds up, too. Every three months, Americans junk enough aluminum to rebuild our nation’s entire commercial air fleet from the ground up. The other statistics and facts are just as shocking. The good news is that many businesses are waking up to just how much waste we are producing—and just how much that waste is impacting the environment. A slew of household name brands have made sustainability a core priority. Dell uses recycled materials in its computers and product packaging. The New Belgium Brewing Company reuses, recycles, or composts 75% of the waste it produces. Also, roughly 75% of the materials that Patagonia uses for its clothing and outdoor equipment is either recycled or organically sourced. These initiatives aren’t happening in a vacuum. 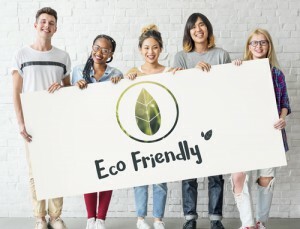 While many businesses are probably focusing on recycling and overall sustainability because they believe it is the right thing to do, there is also an economic factor at work. Thanks to the Internet, business practices are widely reported, shared, and discussed. Social media is incredibly effective at unmasking and exposing companies that rely on environmentally destructive or otherwise unsustainable methods. Many consumers are now learning how to vote with their dollars, turning away from these brands and instead opting for the ones that make sustainability a priority. 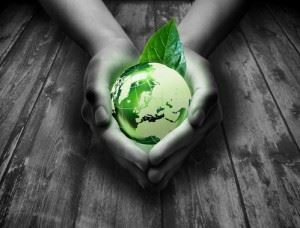 For businesses, the positive PR boost of sustainable initiatives should be enough to launch a green initiative. Obviously, these initiatives take time to devise and get underway. However, something as simple as choosing a green dumpster rental instead of a landfill-bound one is an easy and smart place to start. For home renovators or other consumers who don’t have brand optics to worry about, meanwhile, going green is merely a way to put their money where their mouth is and do what they are demanding brands to do. Whether you are clearing out an office building, renovating a home or in the middle of a major construction or property development project, you are probably producing plenty of waste daily. You need somewhere to put it, which usually means a dumpster rental. If, however, you’re looking for a more sustainable option than just sending everything—paper, plastic, construction materials, e-waste, and all—to the landfill, there are other options. At Junk King, we are proud to offer the greenest dumpster rental in San Francisco. We recycle more than our competitors without charging an arm and a leg, and customers in the area are starting to catch on. It doesn’t matter if you run a business with a well-established sustainability policy or are just a standalone homeowner in need of a convenient waste disposal service. We can help you clear out your clutter faster while also doing your part to protect the environment. If you are interested in learning more about our green dumpster rentals, or arranging one for your home, business, or worksite, visit the Junk King website and fill out our contact form. This entry was posted in Uncategorized and tagged junk king removal, Junk King San Francisco, junk removal, professional junk removal services on October 17, 2017 by Julian Torres, "JT". Last updated January 21, 2018 . Dense fog and rolling hills set a scenic and recognizable backdrop to the beautiful city of San Francisco, California. Often referred to as The City by the Bay, San Francisco is known for its cool summers and its iconic landmarks like the Golden Gate Bridge, the former Alcatraz Penitentuary, cable cars and Fisherman’s Wharf. Originally founded by Spanish Colonists in 1776, this natural harbor was eventually conqured by the United States in 1846. With the Gold Rush of 1849, San Francisco saw rapid growth. Thanks to the Gold Rush, San Francisco became the largest city on the West Coast during that time. While the great 1906 earthquake and fire destroyed much of the city, San Francisco proved its resiliency and soldiered on through the 20th century to become a center of wealth, military power, progressive culture and high technology. As one of the largest natural harbors in the country, San Francisco became a necessary fixture in WWII. According to history.com, as WWII transitioned to the Cold War in 1945, the city hosted the conference at which the U.N. Charter was drafted and continued to draw workers to develop technologies for the nuclear age. San Francisco, which is both a city and a county, is home to a unique blend of intelligence, creativity and innovation. 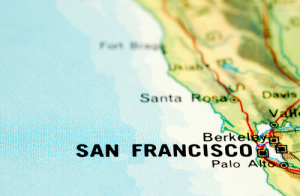 The San Francisco Bay Area is home to 35 colleges, including University of California at San Francisco, the University of California at Berkley and Golden Gate University and boasts a thriving economy. San Francisco has long been a city that attracts industry leaders and change makers. This thriving city is also the headquarters of five major banking institutions, including Wells Fargo, and various other companies such as Levi Strauss & Co., Gap Inc., Dropbox, Reddit, Square, Dolby, Airbnb, Twitter, Pinterest, Yelp, Craigslist, Pacific Gas and Electric Company and many more. Cost of living is relatively high when compared to the rest of the country, however, the high levels of education reached by the vast number of degree holding residents makes way for a higher-than-average salary as well. San Francisco is credited as having begun the charge to combat climate change in the United States. From its ban on plastic bags in 2007 to its recycling regulations, San Francisco is making changes, not just promises. San Francisco has been named the greenest city in the United States and Canada by a Siemens study. According to San Francisco’s environmental webpage, the city has been able to reduce its carbon footprint by 28 percent from 1990 to 2015 even though the population increased 19.5 percent and the GDP (gross domestic product) increased 78 percent. San Francisco, as the leader in environmental concerns, shows that it is possible to make changes despite a growing population. California leads the way in recycling across the country and “is the undisputed queen of recycling cities in the country, with an 80 percent success rate at keeping discards out of landfills as of 2013,” according to takepart.com. 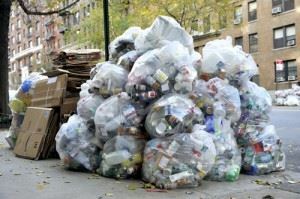 San Francisco’s strict laws and bans have made recycling and composting mandatory for its residents and is helping the city become a Zero Waste city by its 2020 goal. San Francisco’s lead priority in its green initiatives focuses on increasing its diversion rate from landfills. San Francisco is now leading North America in its recycling and compost rates as it has achieved 80 percent landfill diversion rates. Junk King San Francisco is a company that keeps sustainability and green living as a top priority, making it an ideal match for San Franciscan’s to partner with for their own junk removal services, be it commercial or residential. All items tossed into a Junk King roll away dumpster are taken to a recycling warehouse where employees take the time to sort each and every dumpster rental collection for metals, e-waste, paper, household goods, textiles, furniture and appliances before simply tossing more trash into the landfills. But “going green” also means Junk King is able to donate, repurpose, and reuse everything from clothing, toys, baby cribs and strollers to office furniture and supplies. Many of the Junk King trucks run on biodiesel, a domestically produced fuel made from more environmentally safe non-petroleum, renewable resources and fits into San Francisco’s goal to reduce carbon emissions. Junk King is committed to continuing to lead the way to help keep the planet clean, green and beautiful for the generations to come. Just as San Francisco is striving for, Junk King is also committed to finding ways to reduce waste and encourage recycling and reuse of any qualifying products. If convenience is your priority, a Junk King MINI Dumpster is the solution! Just about anything you are seeking to get rid of can be hauled away in one of our MINI roll away dumpsters. San Francisco provides ample opportunity for recycling, but if you want the work done for you, Junk King San Francisco provides quick and easy access to free quotes by phone or an online estimator and fast, affordable self- or full-service removals. Simply choose a date and time to schedule your dumpster rental and contact Junk King for a quick estimate and your junk will be rolled away. With the Junk King MINI Dumpster, you are given three days to fill it on your own timetable before it is hauled away. The MINI Dumpster an easy, fast, purposeful way to remove your junk and debris. 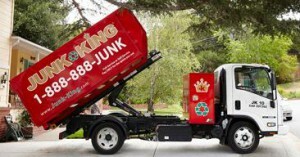 Junk King San Francisco is the committed to top rated customer service and to furthering its mission of recycle-based junk removal through its dumpster rentals. With a city and government leadership so focused on sustainability, Junk King provides a necessary service to help reduce the growth of waste and increase reuse, recycling and donations of what we consider junk. 1) How will I know what dumpster to choose? a. With Junk King San Francisco services, a 12-cubic yard, driveway friendly debris box is delivered to your driveway. Most household remodels and clean outs can be fit with a Junk King MINI. a. If it’s not hazardous waste, we’ll take it! Furniture, appliances, textiles, construction debris, yard debris and more. We at Junk King are committed find ways to recycle, reuse or donate your unwanted items without worsening the imprint left behind. 3) How much do your services cost? a. For fair, flexible pricing, all you have to do is call or fill out an online estimator to see the cost of your clean out. Our unique pricing system allows you to use our 12-cubic yard roll away dumpster while only paying for the space you actually use. 4) How many hours is my rental? a. Junk King offers MINI Dumpsters for drop off for three days, leaving you to fill your junk on your own timetable. Once your rollaway dumpster is packed and ready to go, Junk King will swing back by to pick up the dumpster. If time is of the essence, ask about our full-service package. Junk King San Francisco is committed to creating a more sustainable future and is ready to partner with the city of San Francisco and its businesses, institutions and residents in its efforts towards the same goals. Our customer reviews are the lifeline to our business. Our happy customers serve as a reminder of the difference we make in people’s lives and in the environment, as well as how we can better improve our services. July 21, 2017 by P.S. July 20, 2017 by S.W. July 19, 2017 by G.E. Are you part of San Francisco’s solution to a cleaner, greener and more sustainable tomorrow? If so, Junk King is the ideal partner to assist you with your unwanted junk removal while keeping those same goals in mind. To experience our top-rated customer service please consider using Junk King for your dumpster rental and junk removal. Call today (415) 335-7970 or visit Junk King online to get a quick and easy quote for dumpster rentals or for more information on what size dumpster would best suit your needs. This entry was posted in Uncategorized and tagged junk king removal, Junk King San Francisco, professional junk removal services on August 14, 2017 by Julian Torres, "JT". Last updated June 24, 2018 . Here’s a question for you, San Francisco: what do home improvement projects and special events in your community have in common? Unless you’re feng shui-ing your property or organizing a march for breatharians, the answer is probably going to be junk. 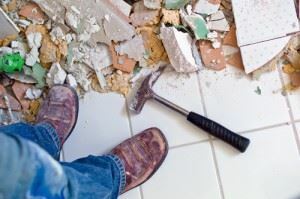 Practically every handyman-or-woman project and public gathering produces waste of some kind, and disposing of that waste is an important part of completing your project successfully. It’s also the best way to stay responsible to the environment and make sure you’re following the law. These are just a few of the reasons why San Francisco dumpster rental is so important. There are other ways to rid yourself of waste in the San Francisco area, but dumpster rental remains one of the most straightforward and cost-effective. However, that’s not to say that there aren’t certain factors you should consider ahead of time. The more thought you put into your dumpster rental in San Francisco at the front end of the process, the more likely you’ll be to achieve the results you want by the time it’s time to return your container. You’ll have to think about who you want to rent from, how to make the most of the time you and your dumpster spend together, and how to avoid unwanted surprises or complications during the loading process. You’ll also want to make sure that the material you put in your dumpster is safe and doesn’t break any local or state laws. That might sound like a lot of information to think about before you go ahead and rent your dumpster. Fortunately, Junk King have taken the time to make things a bit easier for you by compiling a good portion of the most essential information in one place. Read on, and learn more about how you can make your dumpster rental in San Francisco a successful experience. With our help, you should be in excellent shape to tackle your next project with a disposal solution you can implement with confidence. Choosing your rental company is one of the biggest decisions you’ll face when you decide to hire a dumpster in the city of San Francisco. There are several options available, ranging from small local companies to larger operations like Junk King. There will be pros and cons with any company you choose to rent from, but that’s no reason to assume your experience will be comparable with any option you select. In fact, it’s good to know just what challenges and advantages you’ll face with each choice on your list so that you can pick the one that will make your job easiest. Space, timing and pricing are three of the most critical elements of choosing a dumpster rental company in San Francisco. The first thing to do is make sure the rental company you’re considering offers an appropriately sized dumpster for your waste. However, bigger isn’t always better. In fact, sometimes bigger can be more problematic, since you’ll want to place the dumpster on an easily accessible part of your property. In most cases, the dumpster you choose should be able to fit on your driveway. Junk King offers 8 x 12-foot dumpsters that hold approximately 12 cubic yards of material—a compromise that allows for easy placement and significant storage. You’ll also want to make sure that you can have the dumpster you’ve set out to rent for the right amount of time. There’s hardly any point in renting a dumpster when you end up paying for time you don’t need, or if you can’t have it long enough to fill it with the material you’re trying to move. Junk King offers rentals in three-day windows, so that you have the flexibility to work with but won’t be inconvenienced with a container on your property for longer than necessary. Finally, our fixed rental periods prevent renters from incurring late fees—we charge based on different criteria instead. Some dumpster companies charge by time, and others by weight. Our approach is unique, though: we charge based on the amount of space that you use. This approach rewards those of you who are particularly creative or efficient for your efforts with real savings. It’s a bit like playing Tetris; only you’ll be using yard waste and leftover construction materials instead of colorful blocks. Whether you choose Junk King or another dumpster rental company in San Francisco, you’ll want to make sure that the time you rent your dumpster for is used to maximum effect. One smart idea is to put yourself on a schedule so that you don’t end up misusing the time for which you have paid. Make sure that the period for which you’ve rented your dumpster falls in a window where you can manage your time, then plan out blocks that you’ll dedicate to filling it. Efficiency is important, but safety is even more so. You might fill your dumpster quickly, but if the contents stick out over the top or sides of your container than you won’t be able to move it. In fact, California State Law is very strict about moving overfilled dumpsters. Your contractor won’t be able to pick up your dumpster and take it back if you’ve put too much material in it, which means that you may end up violating the terms of your contract or having to pay late fees while you fix the issue. Instead of dealing with these matters, make sure you fill your dumpster safely and responsibly. The type of material matters too—just as much as the amount. Certain materials are simply not allowed to take up space in dumpsters; even rented ones. Your contractor should be able to tell you more about the specifics, but as a rule, you should avoid any materials that could be toxic or pose other safety hazards. No asbestos, motor oil, or—yes, we must say it—fireworks. When you rent a dumpster in San Francisco, you’ll have some level of control over where you want it to go on your property. However, that doesn’t mean you should just put it anywhere. Remember, your rental company will be dropping the dumpster off and picking it up using specialized equipment. That equipment must be able to access the spot on your property where you want the dumpster to reside during your care of it. A driveway is usually a safe place. The middle of the lawn or behind the garage? Not so much. Dumpster rental offers many advantages when compared to other forms of waste removal. It requires considerably less labor than trying to haul material to the landfill by yourself. It’s more convenient and lower-pressure than hiring a company to come and clean up your waste for you (and it’s less expensive, too). It gives you maximum control over the way you clean up your site, but control requires consideration if you want to succeed. Refer often to the information above when you need to clean up after a big project, and you should find that your San Francisco dumpster rental is a snap. Choose your company wisely, think about your timing, fill it safely, and make sure the container is easily accessible while it’s on your property. If you can handle that, your waste disposal worries should be over quickly. If you’re remodeling, re-decorating, landscaping, or just having a thorough spring clean, our mini San Francisco dumpster rental service is ideal for you. There are no hidden charges, we’re always on time, and we look after the environment. Add those benefits to the fact that we’re high value, and you can see why we’re the nation’s favorite junk removal service. Don’t hesitate to give us a call if you have any questions, need advice, or would like to request a dumpster. This entry was posted in Uncategorized and tagged junk king removal, Junk King San Francisco, professional junk removal services on August 8, 2017 by Julian Torres, "JT". Last updated December 14, 2017 . We eventually become bored of seeing the same surroundings every time we return home from work, and while a fresh coat of paint and some new curtains can tweak our home’s image, it’s nice to give the place a major revamp from time to time to make it feel like a new property. You might want to knock down a wall that separates two rooms to create a more open space, or you may decide to extend a room if you’re anticipating a new family member. However, you’ll probably have to dispose of piles of waste after revamping, and the easiest way to get rid of junk is to rent a San Francisco dumpster. You only require a permit to place a dumpster on a public road where you’re obstructing the right of way. Basically, unless your road is private and provides no through access, you need to obtain permission to place a dumpster on the street. However, for the small-scale home remodel jobs, you probably won’t need anything larger than a 12-yard dumpster, and provided you have a long enough driveway, you should have ample space for one. If you’re building an extension, replacing your roof shingles or demolishing a small structure, you may have too much waste to accommodate a mini dumpster. Dumpster rental companies can’t legally retrieve and transport receptacles filled higher than their sides, so don’t choose the smallest size to save money if you think you’re going to have too much waste to fit inside. Additionally, make sure you comply with the local laws surrounding dumpster placement to avoid receiving a fine. Your street needs to be wide enough to accommodate a dumpster without blocking traffic, and there needs to be ample space between the dumpster’s ends and the next turn to minimize the chances of a road accident. In certain situations, you may be able to call a junk removal company instead of hiring a dumpster, which would mean you could avoid having a receptacle placed on your driveway and get rid of the waste in the space of a day. Perhaps more importantly, you wouldn’t have to do any of the heavy lifting because the service includes this. A junk removal company can take the same waste that you’d fill your dumpster with, whether it’s trash from revamping your garden or debris from remodeling your property. Electrical appliances, old items of furniture, and stripped out floors are no problem. In fact, the only thing a junk removal company can’t take is household hazardous waste (HHW), but we’ll talk more about that later. At this stage, all you need to know is that you can’t fill a dumpster rental in San Francisco with HHW either, so you won’t be limited regarding what you can get rid of no matter which method of trash disposal you choose. The main drawback of hiring a junk removal company instead of renting a dumpster in San Francisco has to do with time. You can keep a dumpster on your driveway for as long as you like, usually a period of three days as negotiated with the rental company, but a junk removal company usually retrieves waste in the space of a day. Dumpsters are practical when remodeling your home because they can accommodate much more waste than your standard issue trash cans, such as large items of furniture. Plus, because of their size, you can dispose of a massive amount of junk without making several trips to the waste management facility or allowing trash to sit gathering dust on your property. If you’re ripping down a wall, you can throw the rubble into a San Francisco dumpster without a moment’s hesitation, just as can with old floorboards, windows, and doors. Similarly, if you’re going from room to room collecting old and unusable possessions, or if you’re clearing the garden to make way for your next landscaping project, you can put all the resulting waste into a dumpster and let the rental company deal with its contents for you. Regarding home remodels, the main thing you need to watch out for is walls painted with lead paint. However, you don’t need to think twice when throwing away construction debris, garden waste, and old furnishings. If you don’t want to pay for a dumpster or a junk removal company, the only option you have left is to take responsibility for disposing of your own garbage. However, first, you should consider whether you really want to fill your vehicle with loose debris and potentially smelly trash, and you should think about the costs of fuel and waste management facility entry fees to decide whether you’d save much money. You should remember that a vehicle filled with waste won’t burn fuel as efficiently as it does when it’s only carrying you. Plus, how much will it cost to replace the seat’s leather if it sustains damage or gets ripped by an object with a sharp edge? If you have too much waste to fill your trash can, it’s probably wiser to remove it from your property using a dumpster than your car. Junk King, the nation’s number one waste retrieval company, only charges for the amount of dumpster space you use, which is how it makes its prices more affordable than rental services that charge flat rates depending on the size of dumpster you rent. Take a picture of your trash or contact Junk King to describe the waste you have, and you’ll get an idea for what cost will be. It’s important to remember that the US generates more waste per capita than any other nation, and more than half of our recyclable trash ends up a landfill. Landfills, which the US also has more of than any other country, have devastating effects on local ecosystems, sanitation workers’ health, and the environment, so minimizing what goes into them is a top priority. Junk King is doing its part to address the issue of our landfill dependency by salvaging as much waste as it collects as possible, whether it’s through recycling, selling, donating or repurposing. In fact, we aim to salvage at least 60 percent of what we take, and we usually beat that target because we’re one of the nation’s only waste retrieval services with dedicated sorting facilities and passionate staff. Plus, we’re the number one junk removal and dumpster rental service in the USA and Canada, so you can feel confident that we dispose of waste responsibly. This entry was posted in Uncategorized and tagged Junk King San Francisco, junk removal, professional junk removal services on July 21, 2017 by Julian Torres, "JT". Last updated June 24, 2018 . Many people use dumpsters all the time at work or for construction projects, but you probably have a lot of questions the first time you rent a dumpster. Junk King San Francisco is here to help with friendly service at every step. Here, we’ll shed light on the most common questions about dumpster rental. When you are ready to rent a dumpster in San Francisco, call us or book online! We have competitive prices, convenient and flexible scheduling, and a green commitment to recycling. What’s the cost for dumpster rental in San Francisco? We have a customer-friendly pricing model for dumpster rental that lets you pay ONLY for the space you use. That’s right, you can pay based on volume so you get a lower price for a partially filled dumpster. We have a low minimum of $148, and even a full container costs just $368. The other guys will make you pay a maximum price no matter how little you actually put in! There are other possible charges, such as for extra days and extra weight. We also have to pass on special disposal or recycling fees for certain items such as televisions. Rest assured, our pricing is all upfront and honest! Don’t waste money by choosing a larger dumpster rental than you really need. Junk King San Francisco has containers that hold 12 cubic yards, so you have more space than a traditional 10-yard dumpster. The JK MINI can handle small to medium home improvement projects and cleaning needs. If you’re unsure, call us to describe your needs and we’ll let you know your best option. What can (and can’t) I put in a dumpster? We place very few restrictions on what you can put in the MINI. Hazardous waste such as flammables, gas, oil, paint, and ammo are prohibited. Some other San Francisco dumpster rental companies do not let you use their containers for dense construction debris. Junk King lets you use the MINI for dirt, cement, brick, and other debris. Just be sure to watch the weight—these items hit the weight capacity at about 1/3 full. It is important to avoid overfilling the container. For safety reasons, nothing should be sticking out of the top of the dumpster, or else you’ll have to break it down or remove it. The MINI dumpster rental comes with a 2,000 pound weight limit. Beyond that, we need to charge $0.05 per pound. Junk King San Francisco has pricing for 3, 5 or 7 days. Set the delivery and pick-up times before the dumpster rental, but feel free to contact us if you need more time. Simply re-schedule your pick-up appointment if your project is taking longer than expected. We have a reasonable per diem service charge for extra days. Please just be sure to let us know so our crew doesn’t make an unnecessary trip. Where should I put the dumpster? Most people use their dumpster rental in the driveway. Here in San Francisco, you may need to get creative if your street is narrow or you don’t have a driveway. However, the JK MINI has a compact size (about 8 feet wide) and it’s driveway and sidewalk friendly! Which is better: dumpster rental or junk removal service? We started Junk King as a full-service junk removal company with a focus on recycling. We now offer more options with our MINI dumpster rental. You still get helpful service and the junk gets handled in an eco-friendly way. Dumpster rental makes sense for projects that last a few days or longer. It’s also convenient to have a dumpster nearby if you are creating debris from demo or renovation. If you’re wary of loading a dumpster yourself, we can pick up your stuff instead. We have a similar pricing model for junk removal — you pay based on the volume of junk. If you have a room full of junk or just a few items to throw away, it may be easier to have our guys haul it away rather than renting a dumpster. Need a dumpster rental for home renovations, estate cleaning, or a big landscaping project? Call 1-888-888-JUNK (5865) to schedule a drop-off with Junk King San Francisco, or simply book online now! This entry was posted in Uncategorized and tagged Junk Hauling San Francisco, junk king removal, Junk King San Francisco on July 7, 2017 by Julian Torres, "JT". Last updated January 21, 2018 .